ABSOLUTELY, POSITIVELY every sailor needs a PFD — that’s a “personal flotation device,” or what we all grew up calling a “life jacket.” The school has a very strict zero-tolerance policy requiring all students (and instructors) to wear a PFD at all times when on or near the water, regardless of swimming ability. There is no exception to this policy. 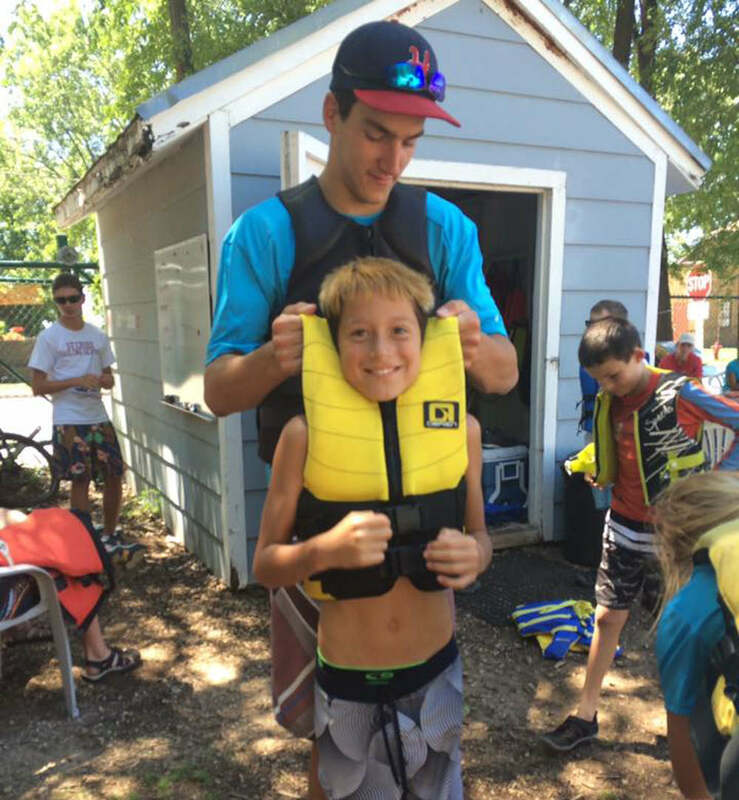 Make sure your child’s PFD fits well, is comfortable and is Coast Guard-approved. If you have any questions about fit, style or rating, ask your instructor on the first day of class. Rubber-soled, non-skid CLOSED TOED shoes (to be worn at all times — they will get wet): tennis shoes, boat shoes and water shoes are all good choices. Sandals and flip flops are not allowed. Marking all your items with your name is a great idea. And remember, ALL ITEMS MAY GET WET!! !